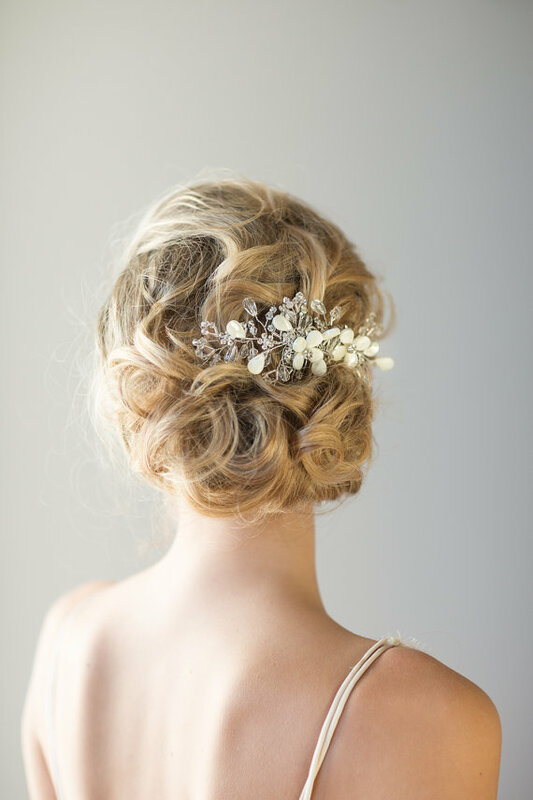 One fascinating way to add more romance and natural beauty to your look as a bride is to insert a few flowers in your hair. 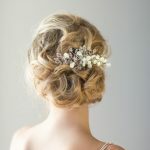 Floral hairstyles are recommended to all brides, regardless of their age or type of wedding they’re planning. It’s hip to plan an alfresco ceremony and wear a big flower in your hair or a flower fascinator veil. Flowers play a big part in the life of a bride. They are needed for the bouquets, corsages and boutonnieres, ceremony altar decorations, reception centerpieces, cakes and other unique arrangements the bride wishes to make. They lend a romantic feel to a wedding and make this day even more special and meaningful to the bride, her groom and their guests. Flowers are nowadays inserted in different wedding items, starting with the bride’s dress and shoes and ending up with the stationery and guest favors. They can make a beautiful accessory for your hair as well. 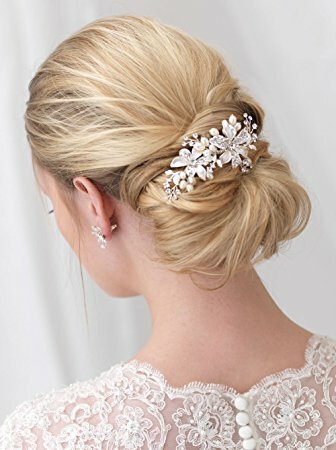 It doesn’t matter how you choose to wear your hair on your big day: up, down, half-up, braided, loose, curled, straight, short, etc. 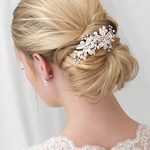 Both long and short-haired brides can follow this route. 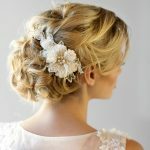 Floral bridal hairstyles are wonderful for those who want a romantic outdoors ceremony. 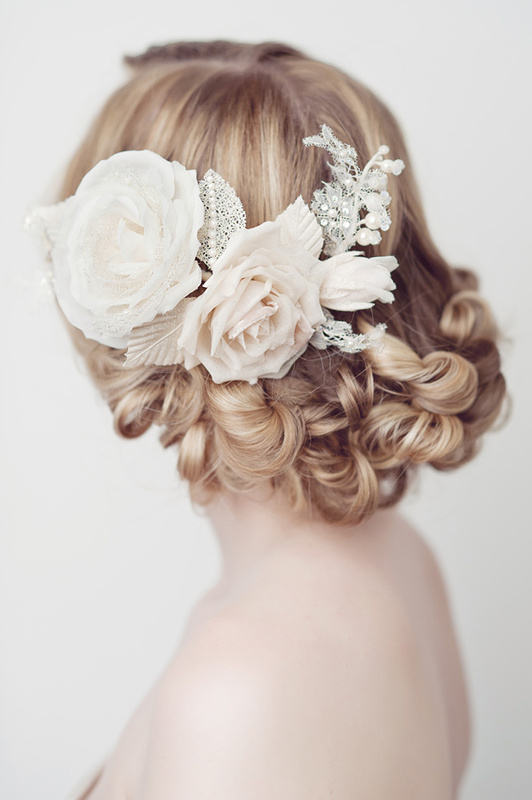 If you’re planning a garden celebration, you must definitely consider this type of adorning your hair. The flowers you use for your hair should match the flowers and colors you picked for your bouquet. 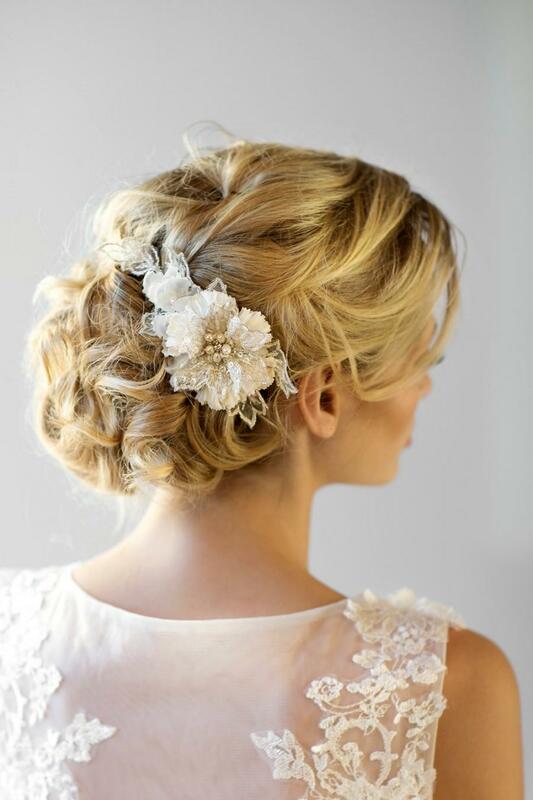 The floral hairstyle must also suit your gown and the formality of the wedding. The modern bride can use fresh or artificial blooms, depending on her budget and preferences. It’s the easiest way to obtain a fancy outstanding look while working with hair flowers. Let’s see what you can do for an amazing look. We’ve all noticed that it’s trendy for the 2012 bride to wear her hair in braids. It can be French braid or a circular braided hairstyle that covers your entire head. To make the braids look even more romantic and sophisticated, add a few small blooms here and there. The effect is always worth considering for a wedding ceremony. Or, if you care for a simpler look, insert a flower behind your ear and obtain a more natural look. 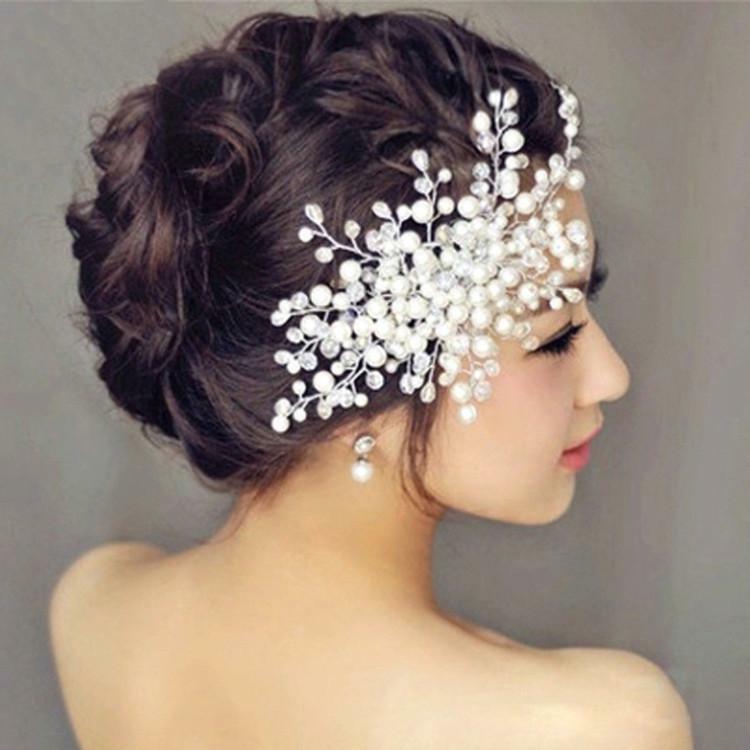 It’s also hip to wear a crown of flowers – silk or real at your wedding. This style is suggested for bohemian or hippie brides. If you’re planning an open field, forest or mountain cliff ceremony, choose to wear a wreath of flowers and vines on your head. You will feel like a princess of nature on your wedding day! 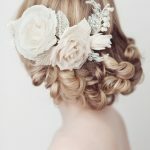 Flowers can be attached to hair barrettes, pins, combs, headbands and different types of veils. They work well with simple buns, curly hairstyles and intricate up-dos.